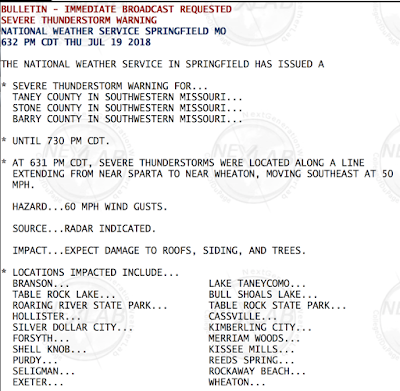 MSE Creative Consulting Blog: There Was "Reportedly" a Storm Warning?? 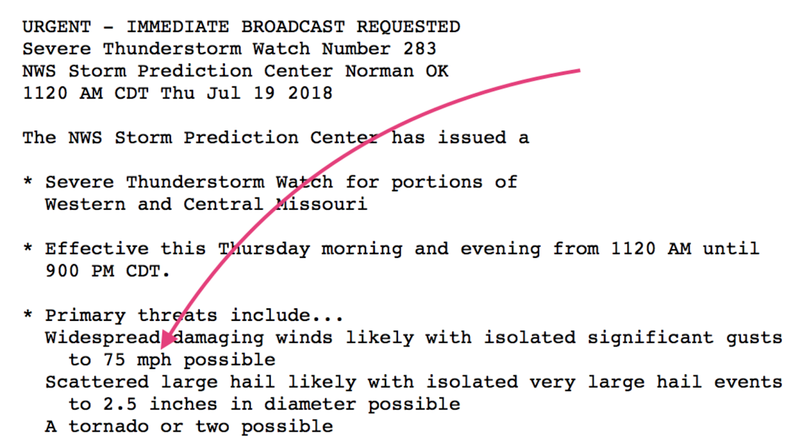 I don't understand why the news media is having such trouble wrapping its collective head around the fact the National Weather Service did a fine job on the watch and warning applicable to Table Rock Lake at the time of the Duck Boat sinking. For example, today's Wichita Eagle states, "So are questions about decisions to take the boat into the water despite reported warnings from the National Weather Service of an impending storm." The Kansas City Star used the same wording. There is nothing "reported" about it. Here is the watch, issued more than seven and a half hours before, calling for 75 mph winds. 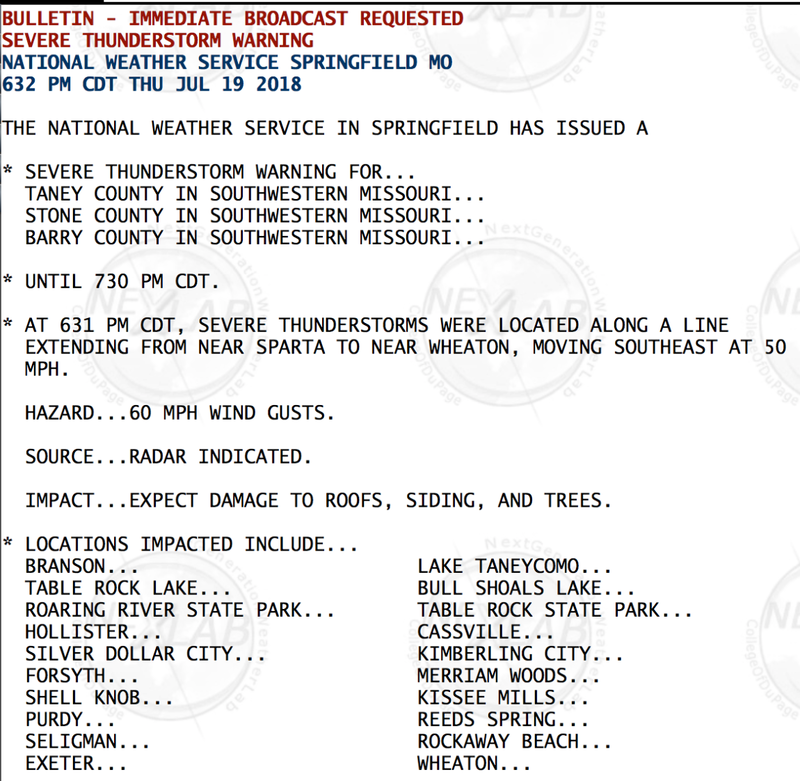 and please note that both Table Rock Lake and Branson are explicitly mentioned as are winds of 60 mph. A few minutes later, before the tragedy, the forecast winds were upped to 70 mph. According to the National Transportation Safety Board, the wind on the lake was 73 mph. The watch and warning were accurate and timely. The question isn't whether there were good storm warnings, the real question is why weren't the warnings needed? 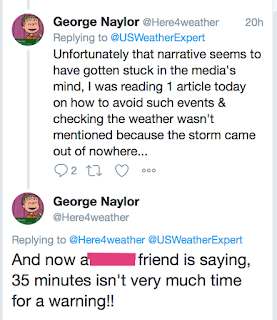 George's tweets (reproduced with permission) are typical of the coverage of the disaster the last couple of days. This is highly unfortunate. 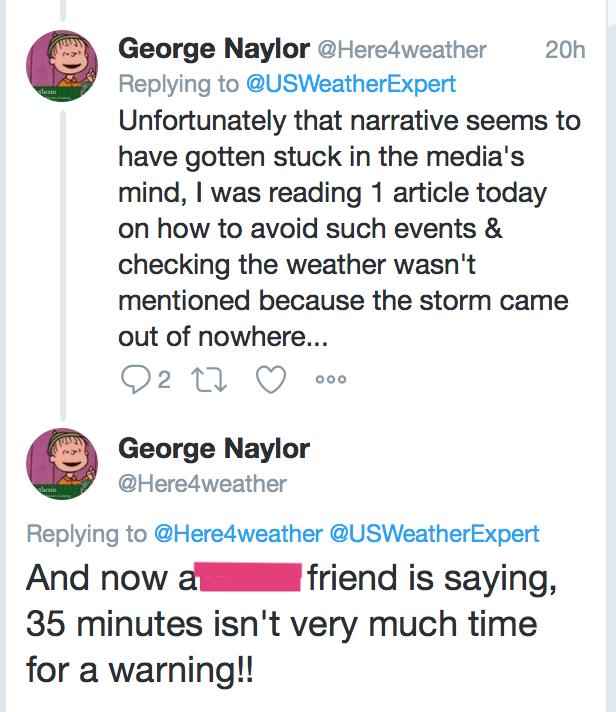 Also highly unfortunate is the media's typical "there was no warning" in stories after just about every major tornado, severe thunderstorm or flash flood. 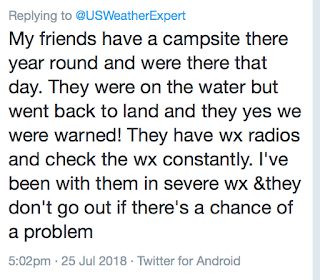 The fact there usually was a warning is not reported or buried after meteorologists demand a correction. I believe that the media's treatment of disasters aggravates the issue of warning credibility. More on that, here. As to "35 minutes isn't very much time for a warning," some would argue it is too much time regarding a warning for the public-at-large. If there is too much "lead time" (the interval between the warning being received and the arrival of the storm), the warning loses its urgency. People get in their cars causing traffic jams. People get caught outside and injured when, for example, their backyard trampoline goes airborne. Meteorologists agree that more time is needed for precautions such as bringing that trampoline in. 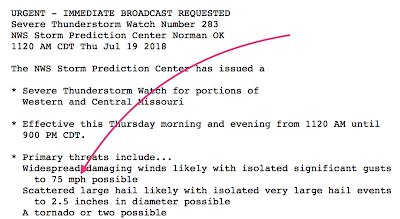 That is the purpose of severe thunderstorm and tornado watches (see above for the Table Rock Lake tragedy). 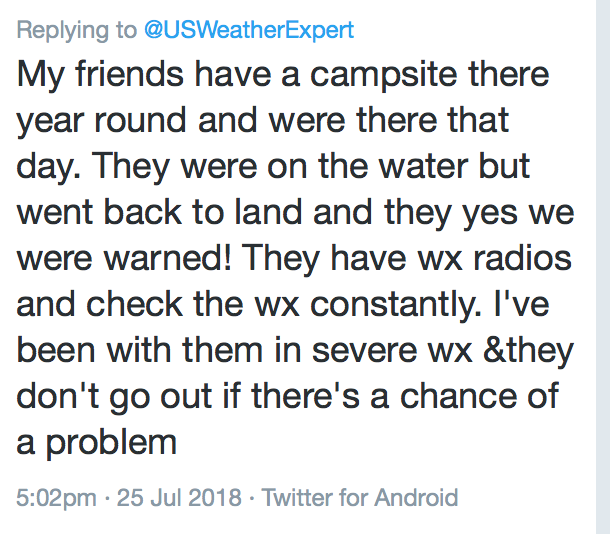 Commercial boating operations should have a commercial weather company watching the weather for them so they can get the types of warnings (eg, the National Weather Service does not issue lightning warnings) and amounts of lead time they need. Addition, 5:25pm Wednesday, July 25. Here is another pertinent posting from Twitter. Yes, there was plenty of warning if those at Table Rock Lake had been paying attention that awful evening.